During January and early February 2016, eastern and central tropical Pacific Ocean surface temperatures were in excess of +2.0 degrees Celsius above average, signifying a very strong El Niño event. As is typically observed, the El Niño reached its peak ocean temperature departure from average during November and December, but has since declined by about half a degree. Atmospheric indicators of El Niño have remained strong and consistent during recent months. This includes lower atmospheric pressure across the central and eastern Pacific Ocean, weakened low-level Pacific trade winds, and above-average cloudiness and increased rainfall near and east of the International Date Line. Historically, El Niño events reach maximum strength between October in the year of onset and January of the following year, and often persist through much of the first quarter of that year before returning to neutral conditions. This El Niño has been following a similar timeline, but because of its strength it will likely continue well into the second quarter of 2016. During the past nine months, temperatures below the surface of the tropical Pacific to the east of the international dateline have been substantially above average in response to several periods of weakened trade winds. During the most recent couple of months, these subsurface temperatures have declined after the El Niño peaked, but still remain well above average. The remaining excess subsurface heat is expected to maintain sea surface temperatures at well above average levels during the first quarter of 2016. During January 2016, a particularly marked weakening of the trade winds in the central tropical Pacific Ocean caused a slight resurgence of the temperatures below the surface. This additional subsurface heating could lead to an increase in sea surface temperatures in the far eastern tropical Pacific Ocean in late February or March. Currently, all of the dynamical and statistical prediction models surveyed predict 3-month average sea surface temperatures in the east-central tropical Pacific to decline in the coming months, but three-quarters of the models predict 3-month average temperatures to remain at least +1.0 degrees Celsius above average through the March-May season. There is a high likelihood that the current above-average ocean temperatures in the east-central tropical Pacific will decline but continue at moderate to strong El Niño levels through February and into part of March, before declining to weak to moderate El Niño levels through April and into May. The peak 3-month mean strength, as indicated by the sea surface temperature of over 2 degrees Celsius above average during the last months of 2015, make this El Niño comparable to the previous very strong events of 1982-83 and 1997-98. While the peak ocean temperatures themselves were approximately as strong as those of the 1997-98 event, some other aspects of this El Niño have been somewhat less exceptional, such as the sea surface temperature in the eastern one-third of the tropical Pacific and the eastward extent of enhanced cloudiness and rainfall along the equator. A more detailed retrospective analysis of the oceanic and atmospheric characteristics of this El Niño is required to more comprehensively establish its strength relative to the other strongest past events. Nonetheless, overall this event is considered very strong. 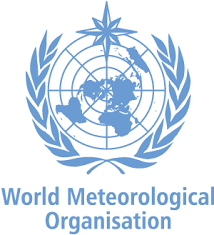 A careful watch will be maintained on the oceanic and atmospheric conditions over the tropical Pacific in the coming months to better assess its rate of dissipation. Den vanligvis men ikke alltid påfølgende La Nina som pleier å reversere oppvarmingen fra El Nino, den kan komme allerede i andre halvår i år, ifølge dette oppslaget på WUWT som kommer etter hint fra Roger Pielke Sr.
21. februar 2016 in Havstrømmer.